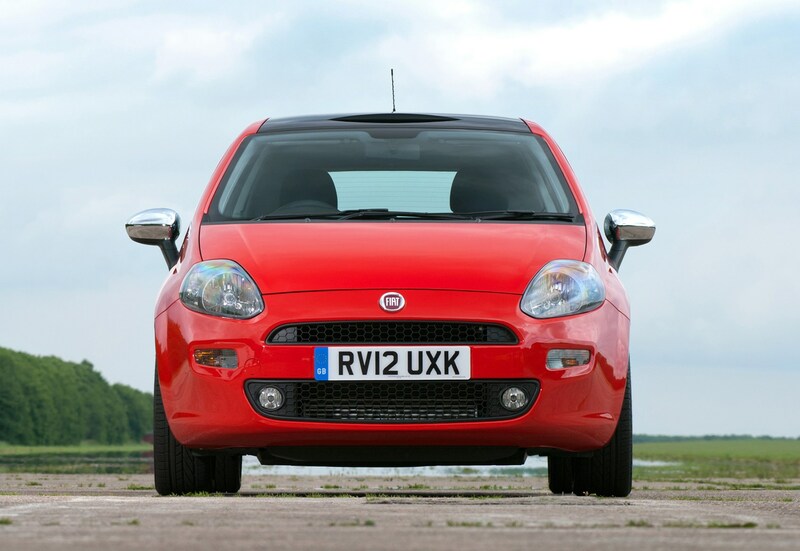 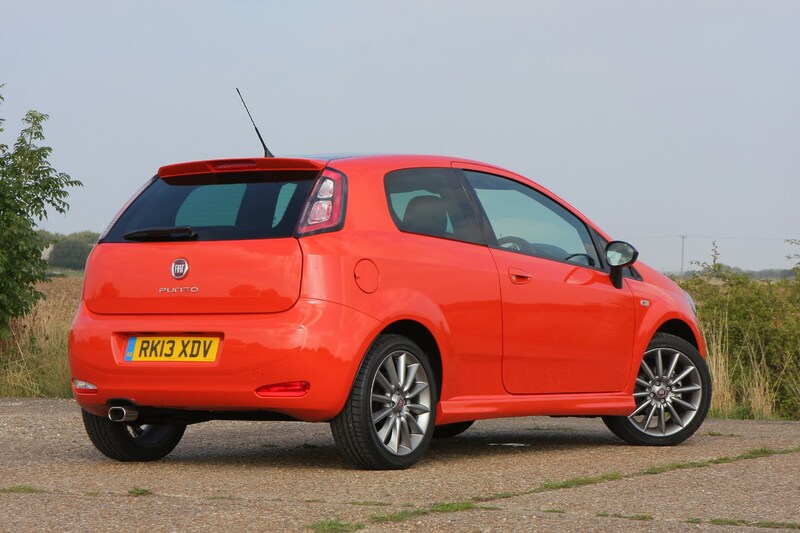 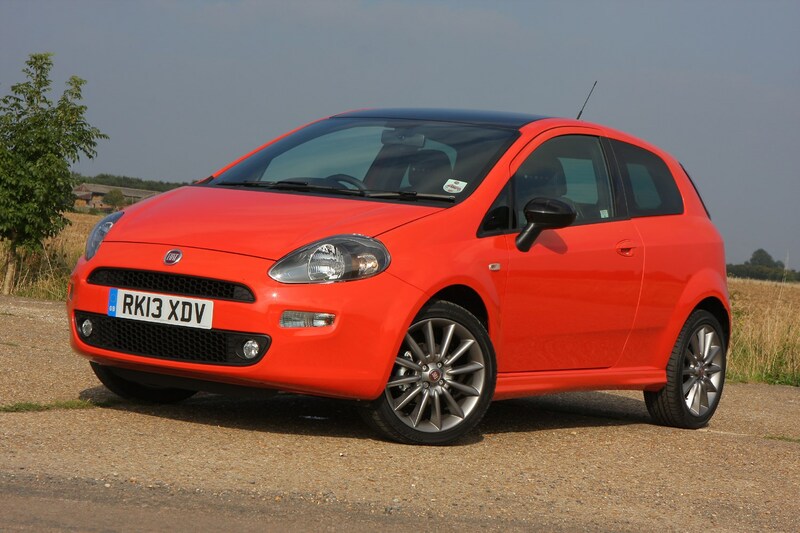 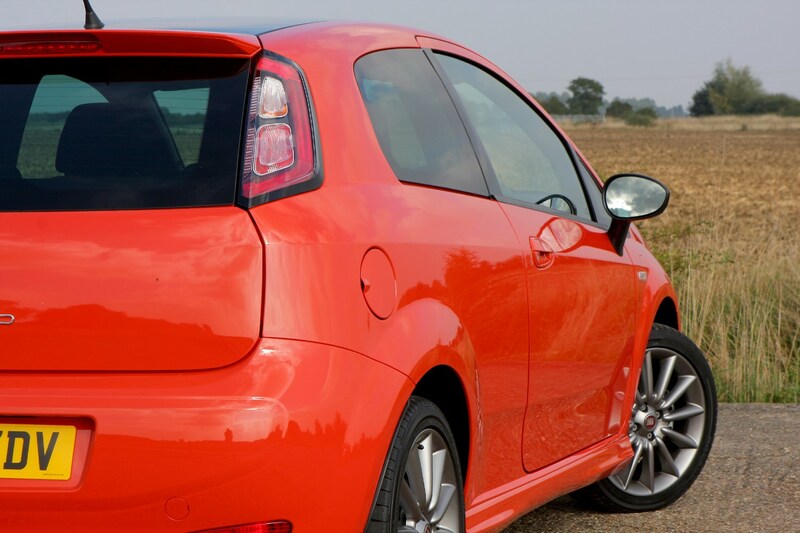 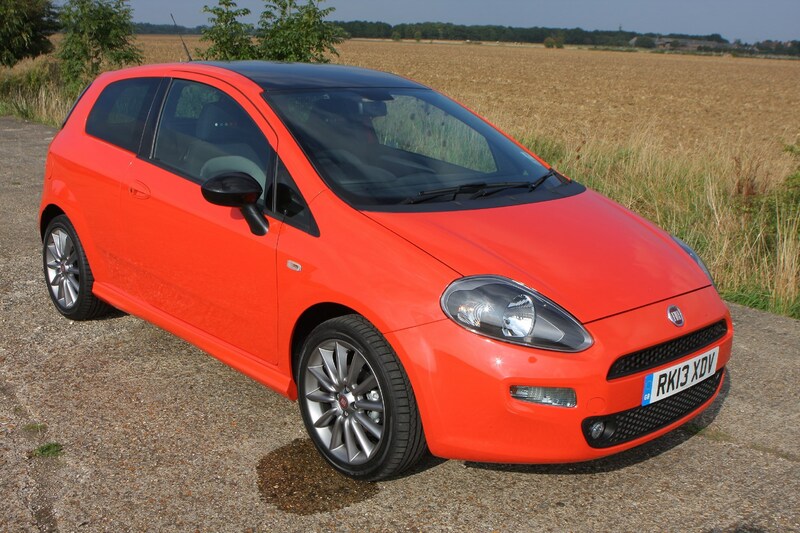 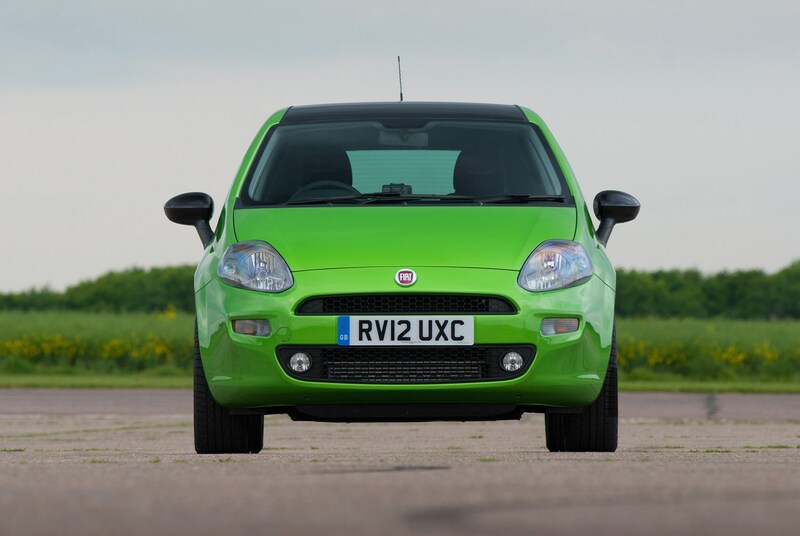 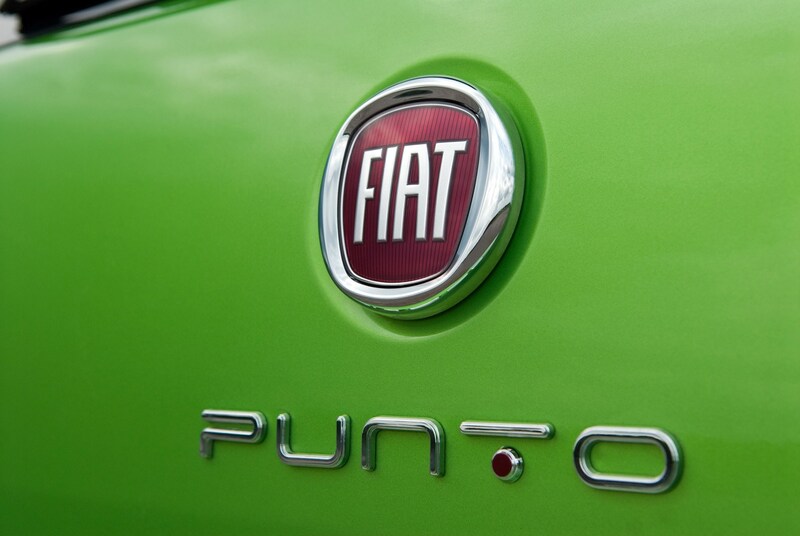 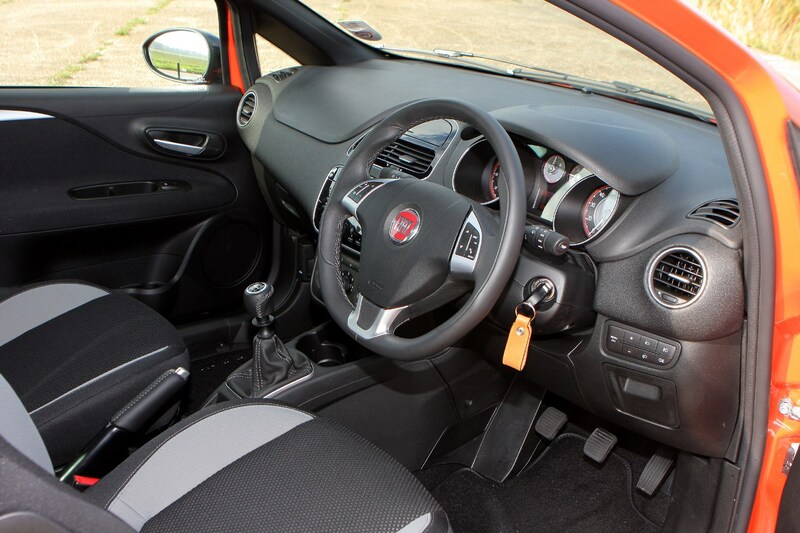 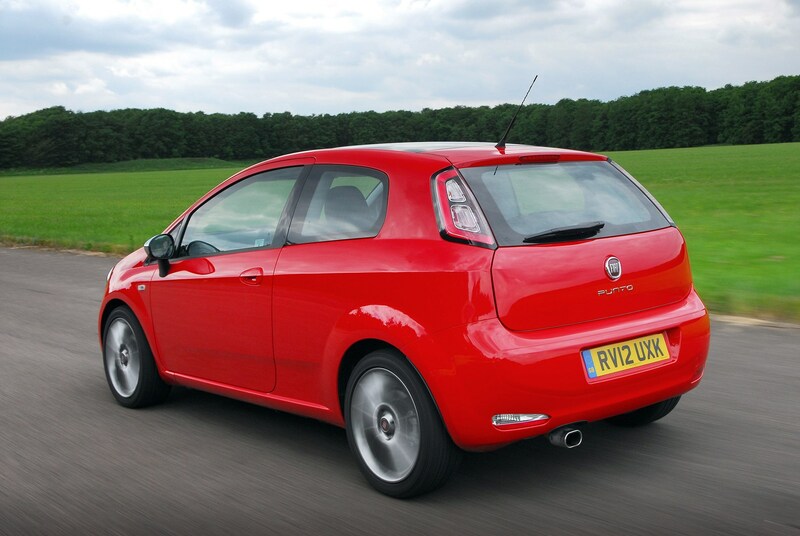 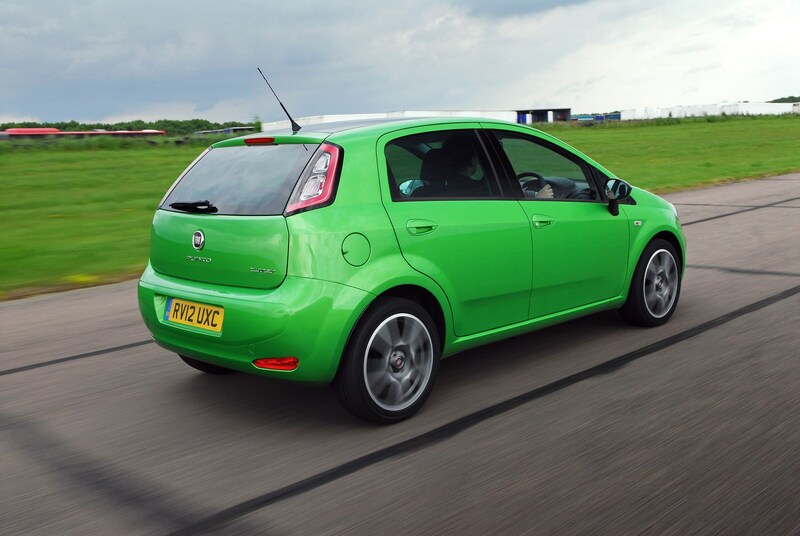 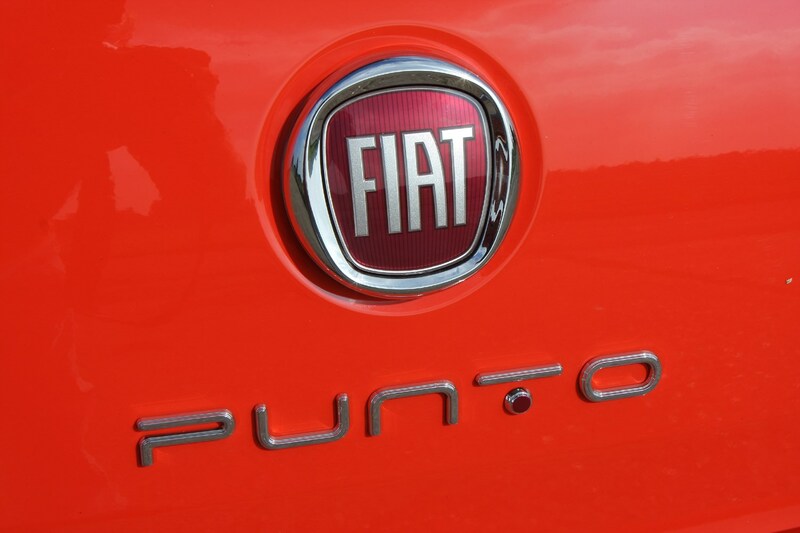 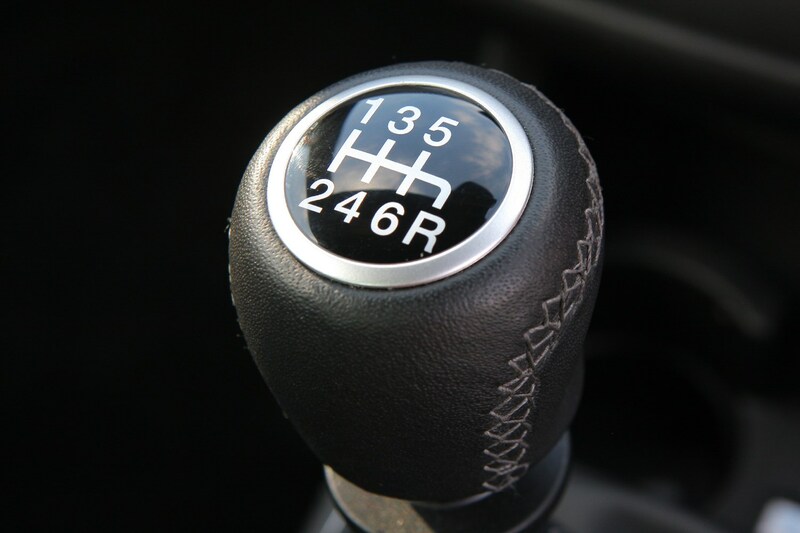 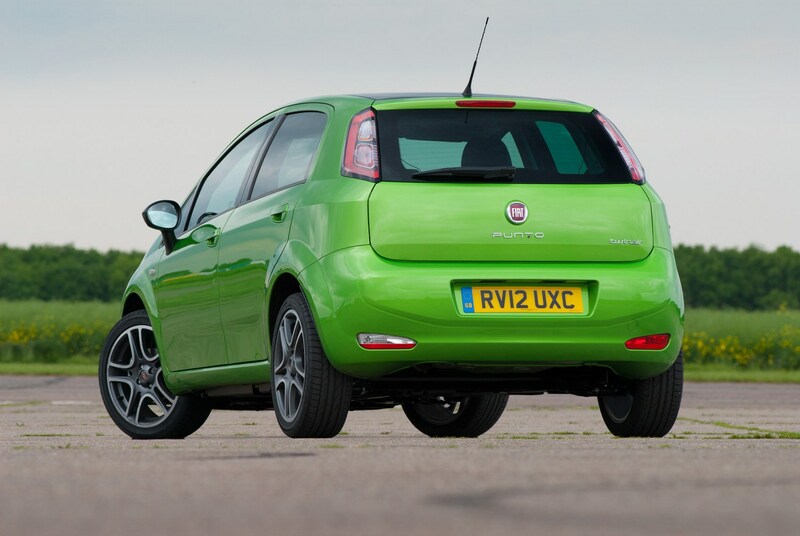 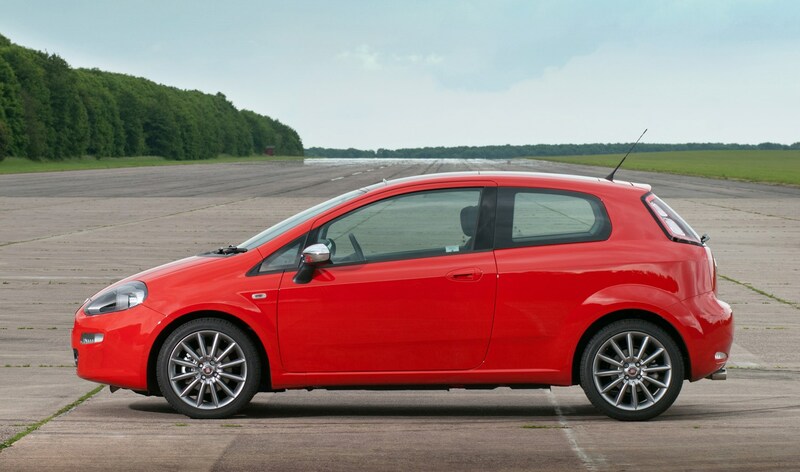 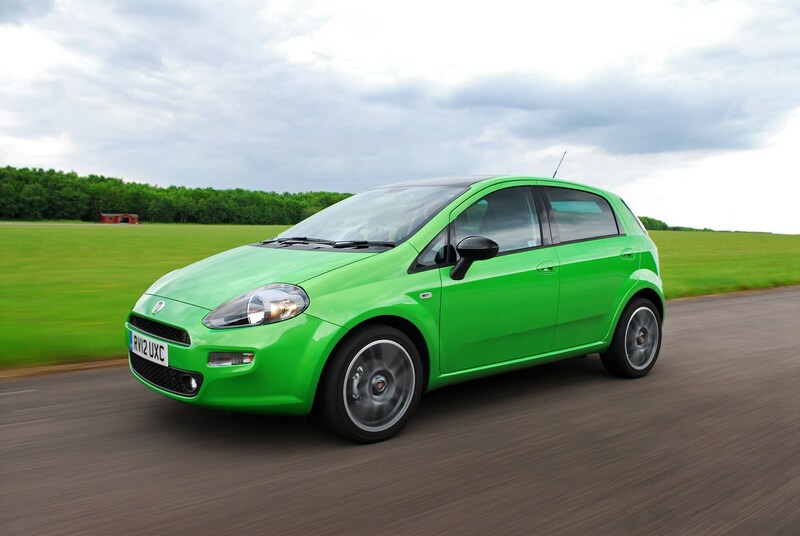 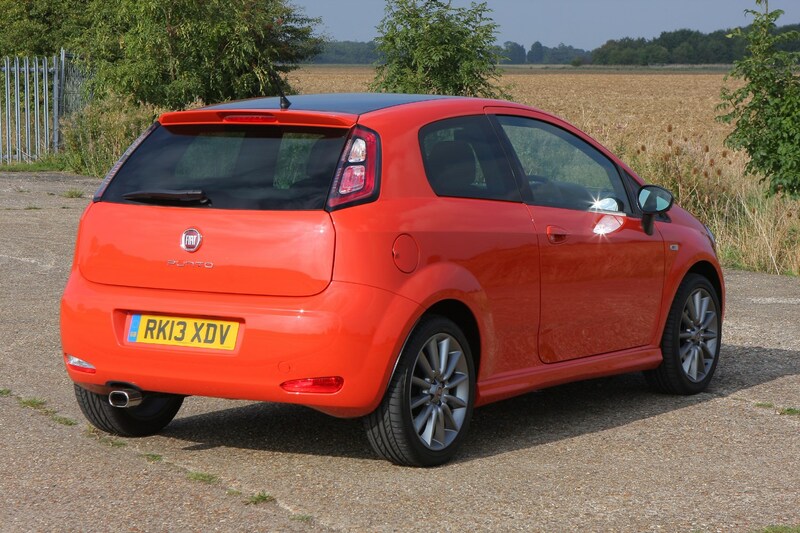 Fiat Punto equipment was originally spread across five trim levels: Pop, Easy, Lounge, GBT and TwinAir. 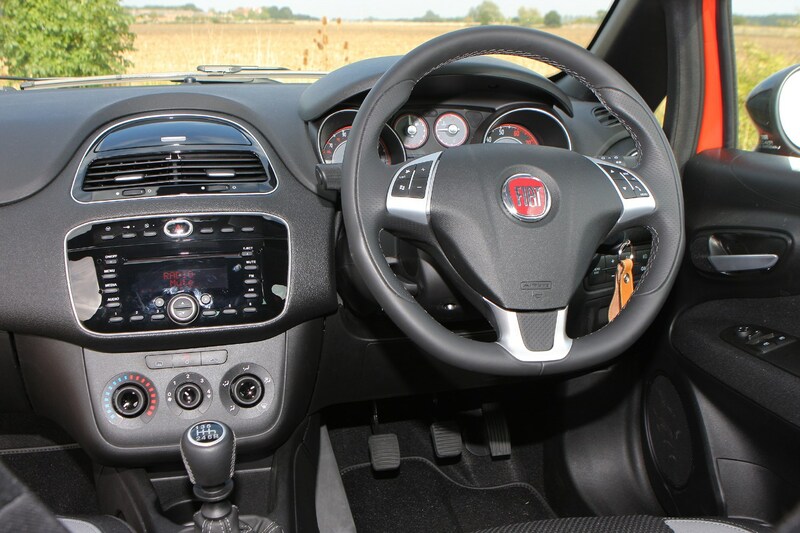 In Summer 2013 this was altered to four trim levels, with Lounge and TwinAir deleted from the range (the TwinAir engine is still available with Easy and GBT trims) and the addition of a new Sporting trim. 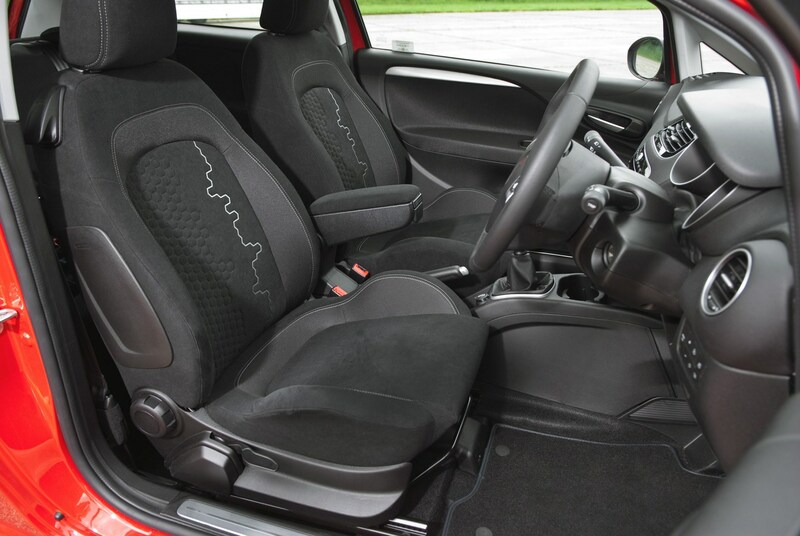 The entry-level Pop trim comes with fabric seats, height-and-reach-adjustable steering wheel, height-adjustable driver’s seat, trip computer, remote central locking, electric front windows, driver, passenger and window airbags, radio, CD and MP3 compatibility, rear head restraints and ABS. 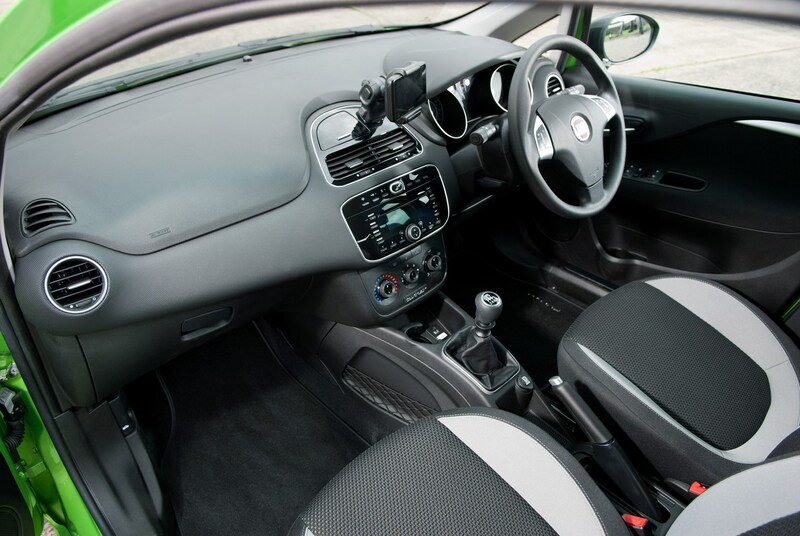 From mid-2013 a new dashboard finish was added along with a driver’s knee airbag and body-coloured door handles and mirrors. 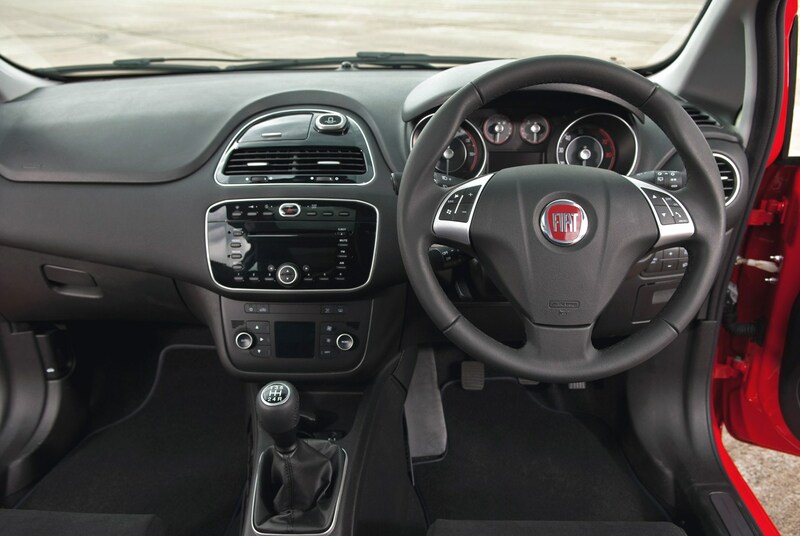 Move up to Easy and standard kit over Pop includes manual aircon, driver's knee airbag, leather covered steering wheel and gearknob, body-coloured electrically adjustable heated door mirrors, body coloured door handles and 15-inch alloys. 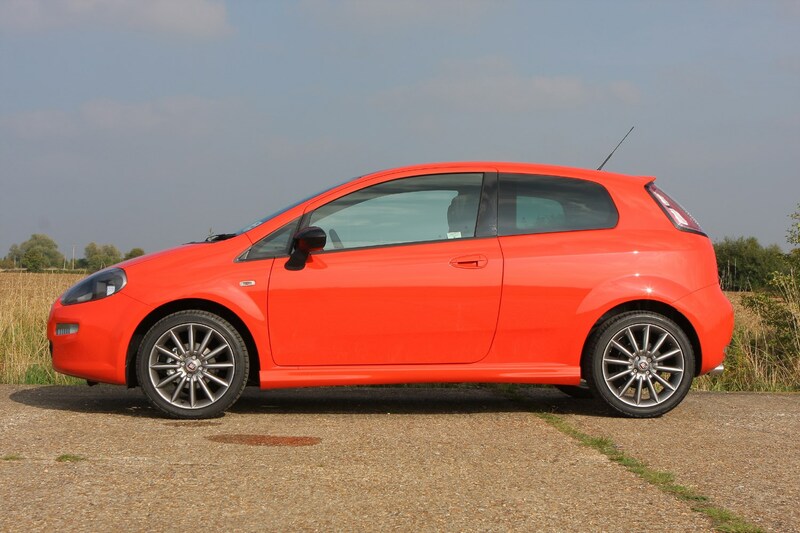 The GBT shares the same kit as the Easy specification but is a little more sporty looking and adds 15-inch Sportline alloys (replaced with 16-inch two-tone wheels in 2013), privacy glass, sports suspension and body coloured rear spoiler and side skirts. 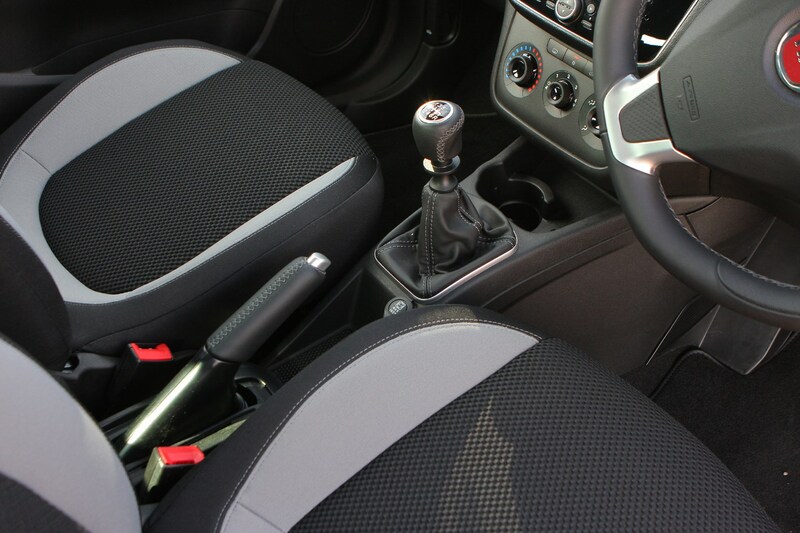 From mid-2013, both Easy and GBT derivatives get black fabric seats, front fog lights which can swivel with the steering and side airbags. 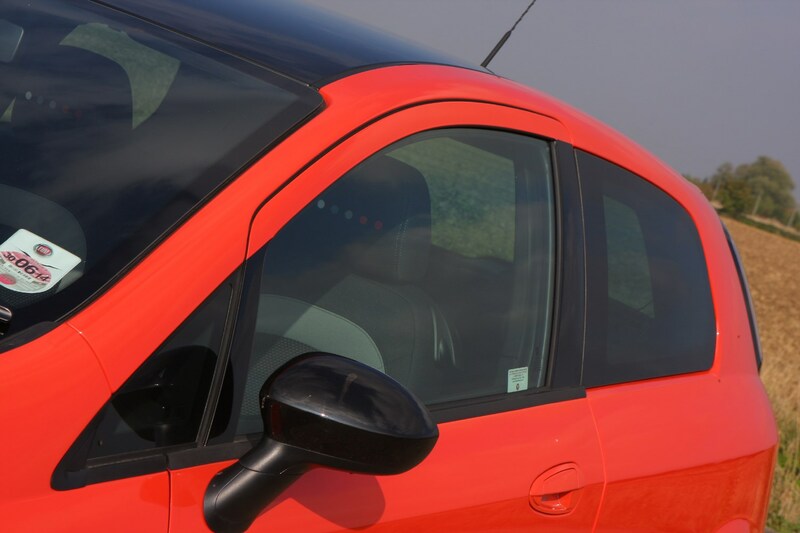 Flagship Sporting trim includes body-coloured rear spoiler and side skirts, gloss black painted roof and door mirror housings, sports suspension, ‘tarmac’ finished dashboard, black headlining, leather-covered sports steering wheel, gear knob and hand brake, dark headlamp lenses, front fog lights with cornering function, rear privacy glass, chrome exhaust pipe finisher and 16-inch seven-spoke black alloy wheels. 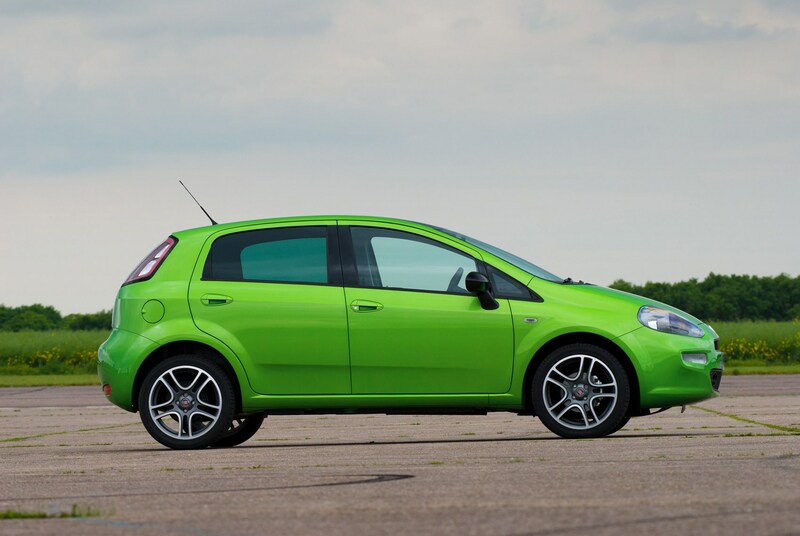 It is available with the 77bhp and 103bhp 1.4-litre petrol engines in both three- and five-door guise. 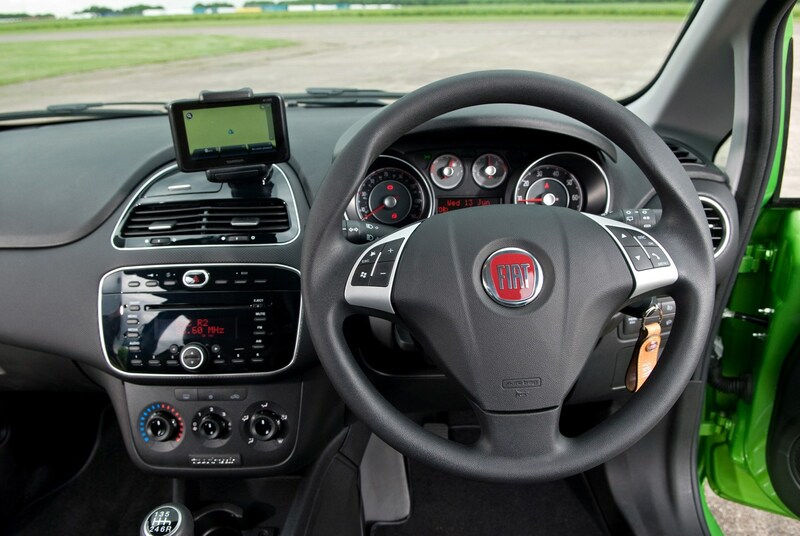 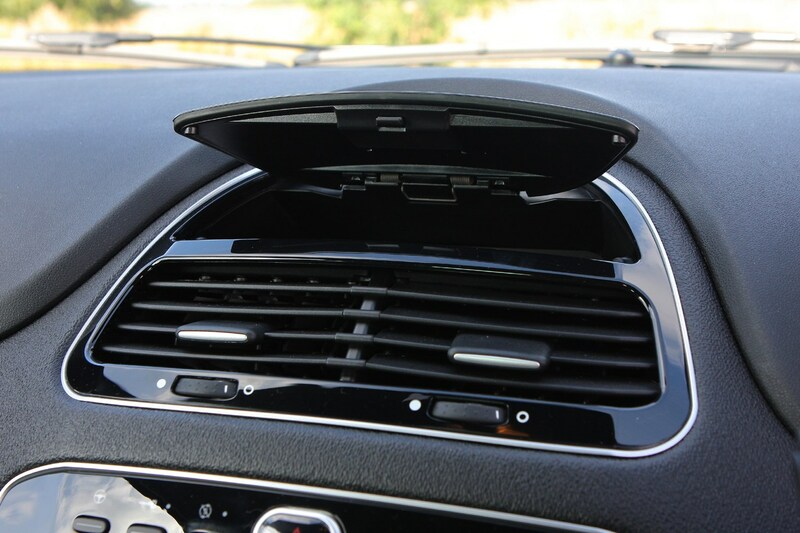 Prior to mid-2013, the flagship trim was the Lounge, which included 15-inch alloys, front fog lights with cornering function, ‘Skydome’ electric sunroof, chrome-plated exhaust pipe, ambient interior lighting and Fiat’s ‘Blue&Me’ Bluetooth system plus USB and Aux-in connections for the stereo. 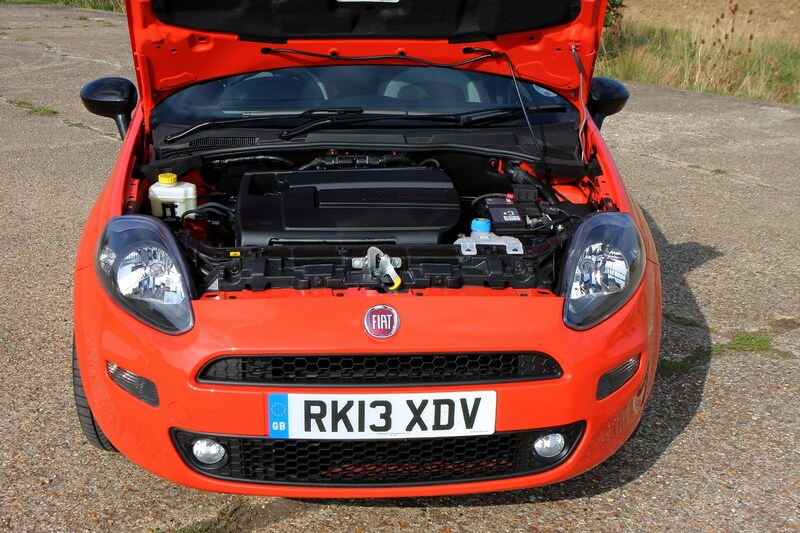 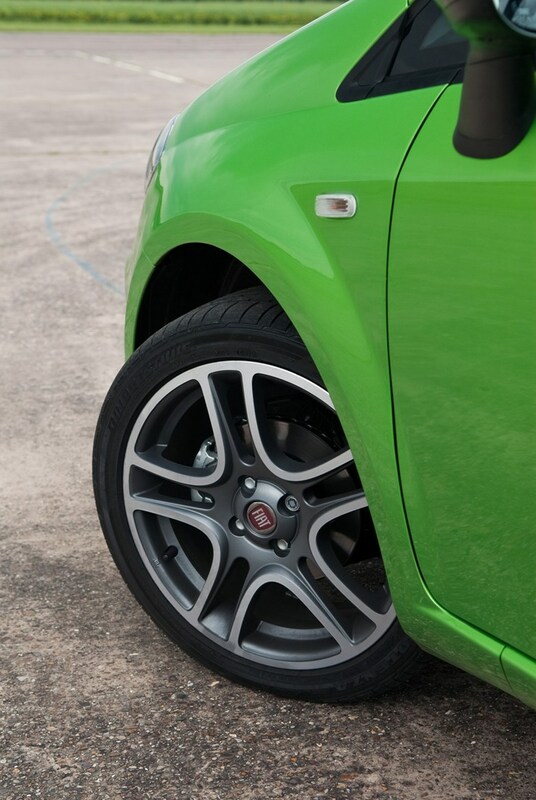 To emphasise the individuality of the TwinAir engine Fiat initially gave it its own specific trim level. 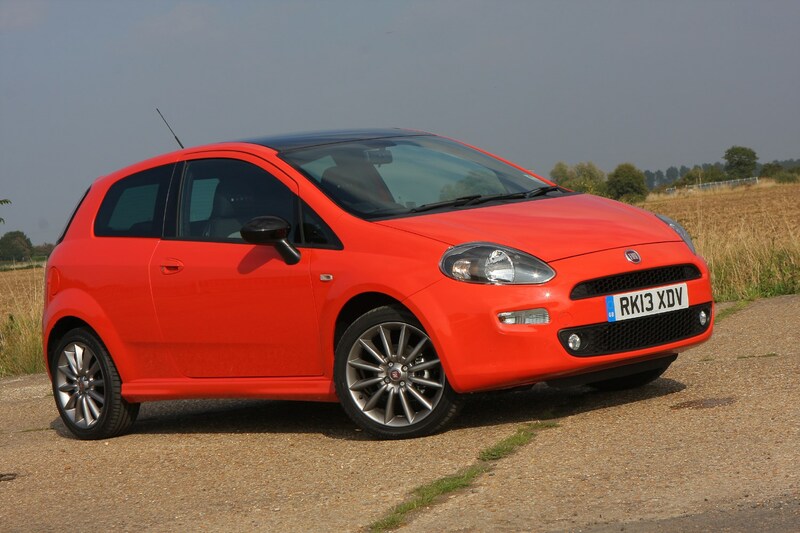 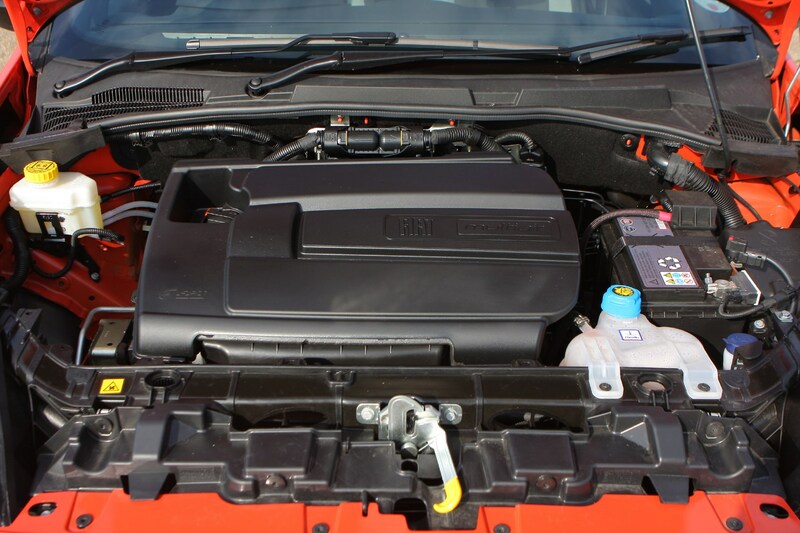 In mid-2013, however, the engine was made available for Easy and GBT-spec cars and the dedicated TwinAir trim level was deleted from the Fiat Punto brochure. 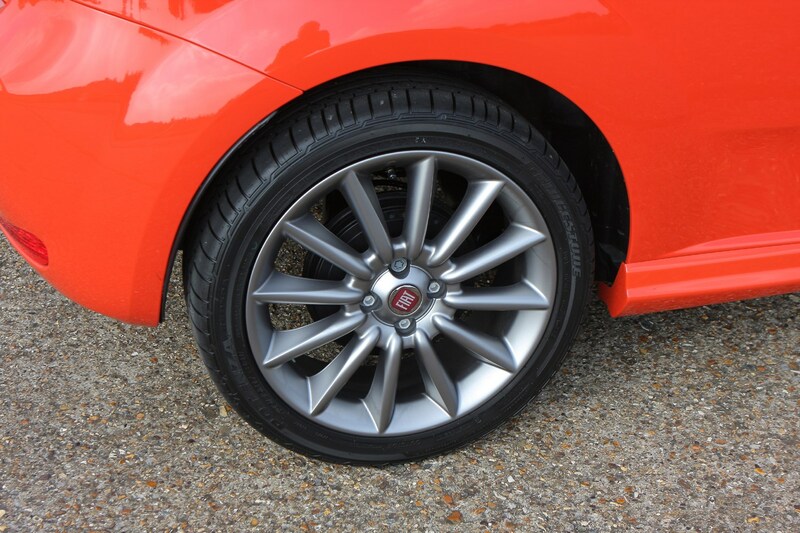 The TwinAir trim was based on the Easy specification but additional kit included gloss black door mirrors and pillars while the 15-inch alloys got a glossy diamond finish. 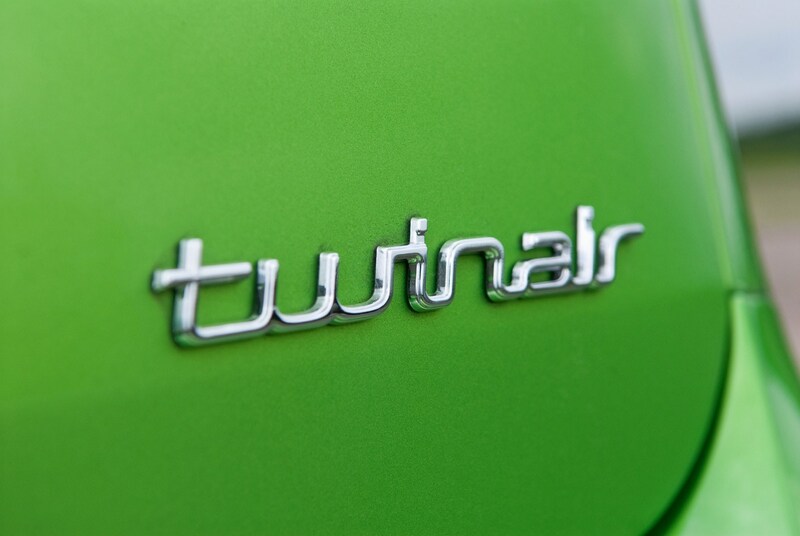 There were TwinAir badges subtly positioned on the exterior while on the inside the logo was embossed on the front headrests. 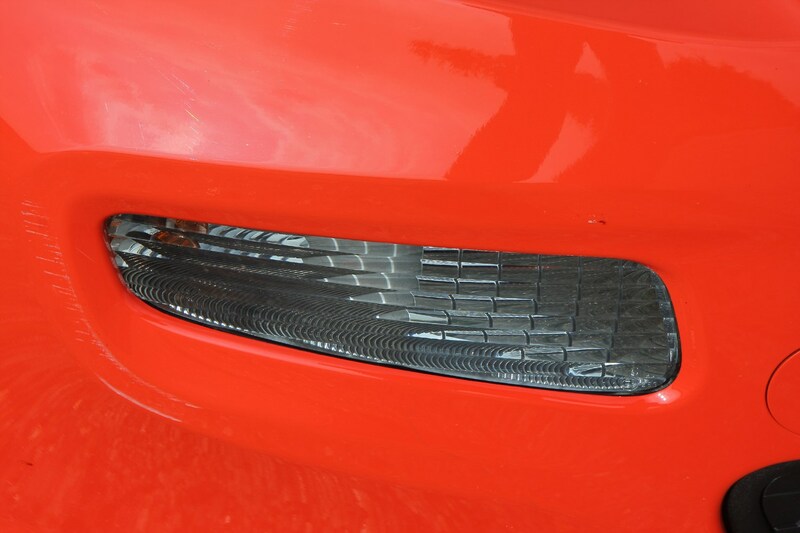 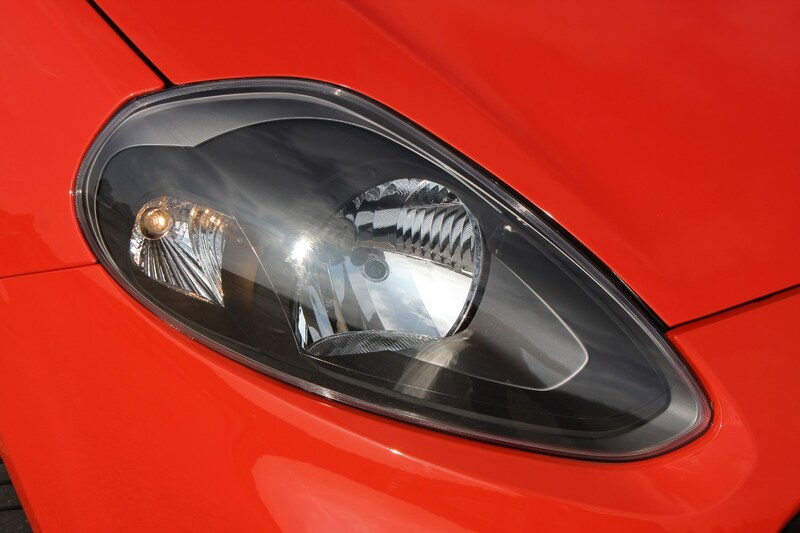 The soft-touch fascia had a glossy finish and further kit included privacy glass and front fog lights with a cornering function. 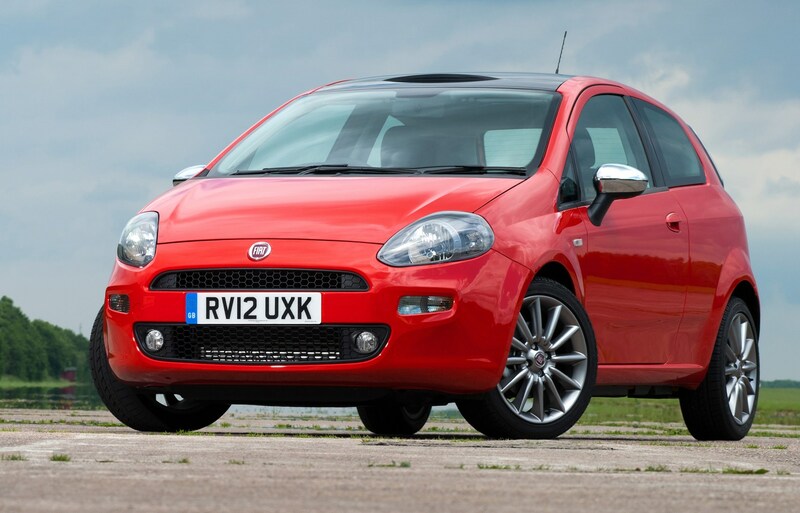 A Fiat Punto Jet Black special edition was released in spring 2013, limited to 300 examples. 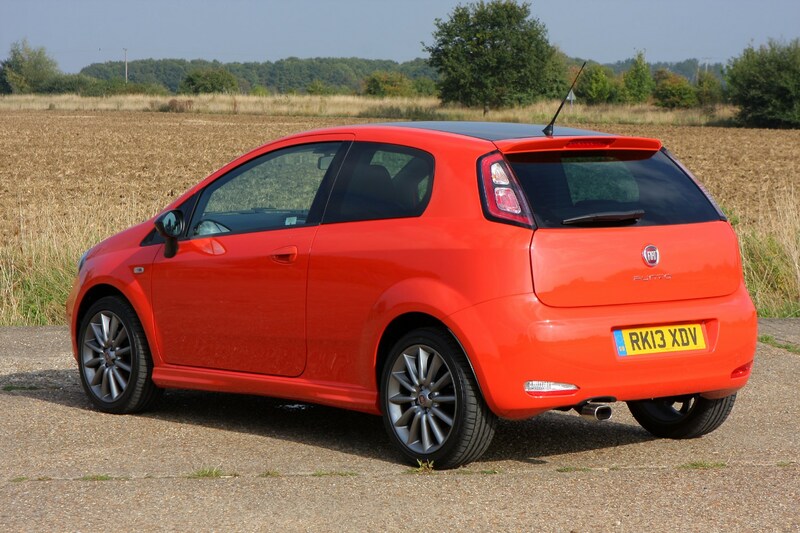 As the name suggested, it featured metallic black paintwork together with matt black stripes and 17-inch alloy wheels. 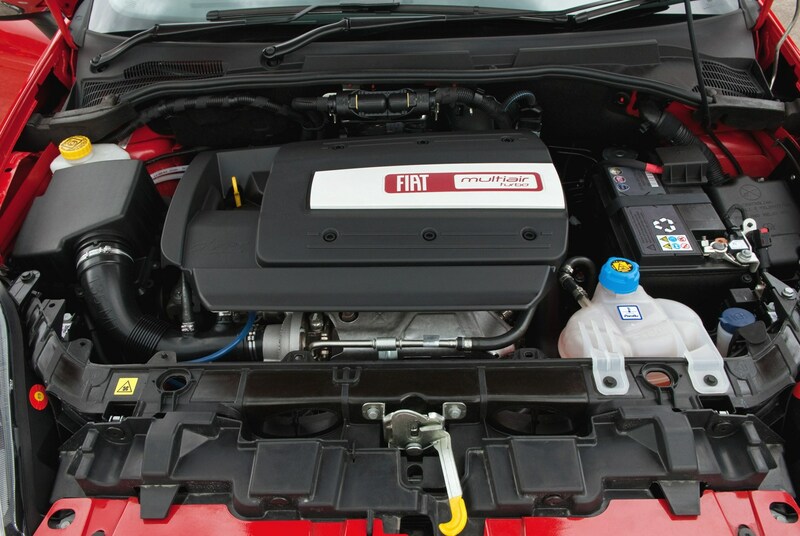 It was powered by the 77bhp 1.4-litre petrol engine. 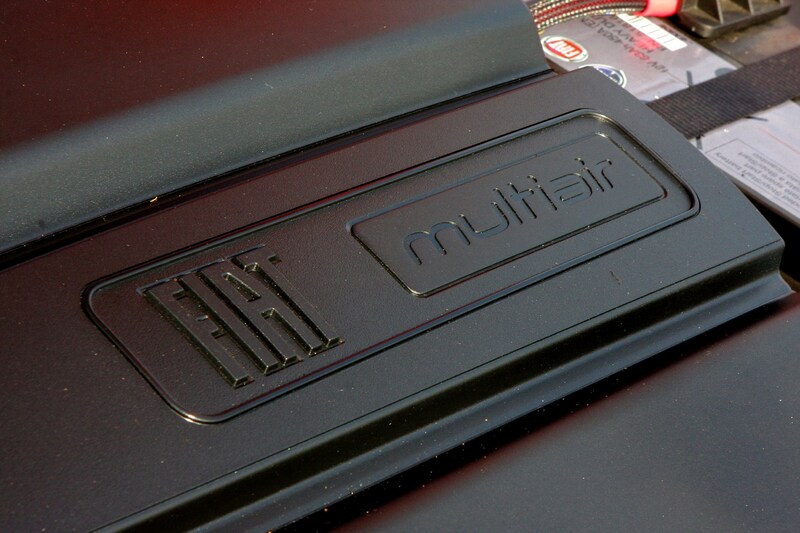 That was followed by a Jet Black 2 edition in spring 2014. 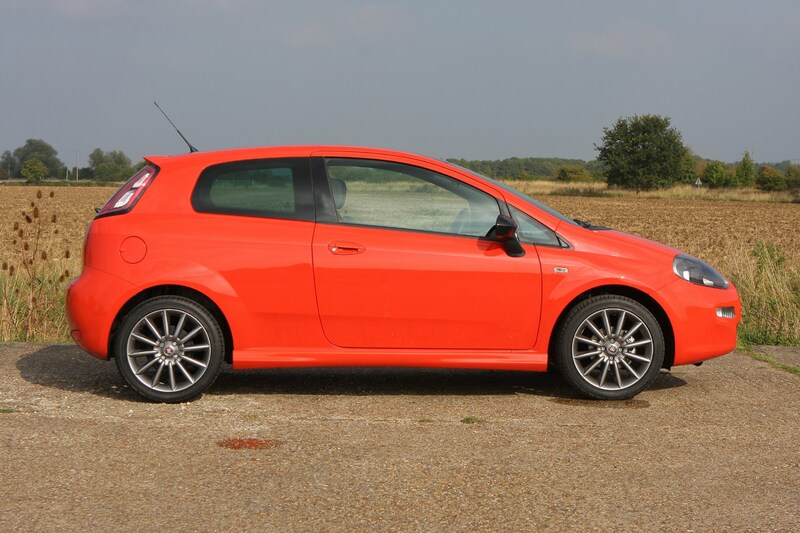 Powered by the same engine, it too was finished in metallic black paint with 17-inch alloy wheels and fitted with a bodykit including side skirts and a rear spoiler. 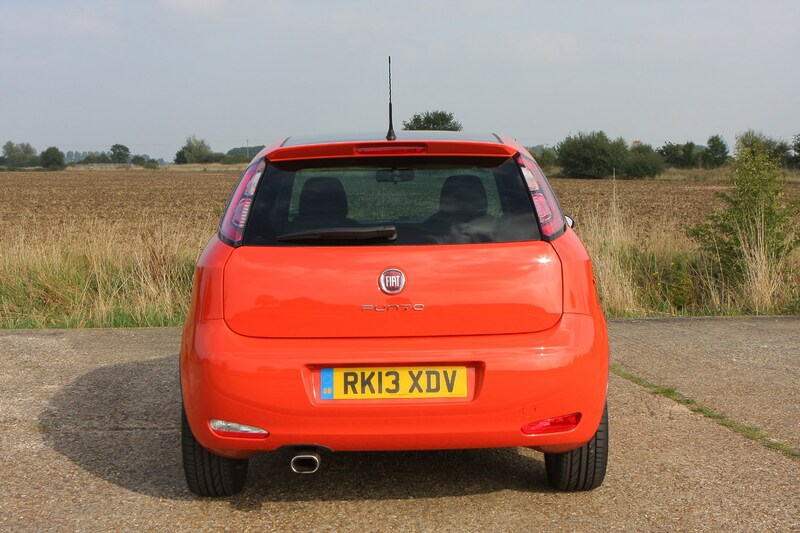 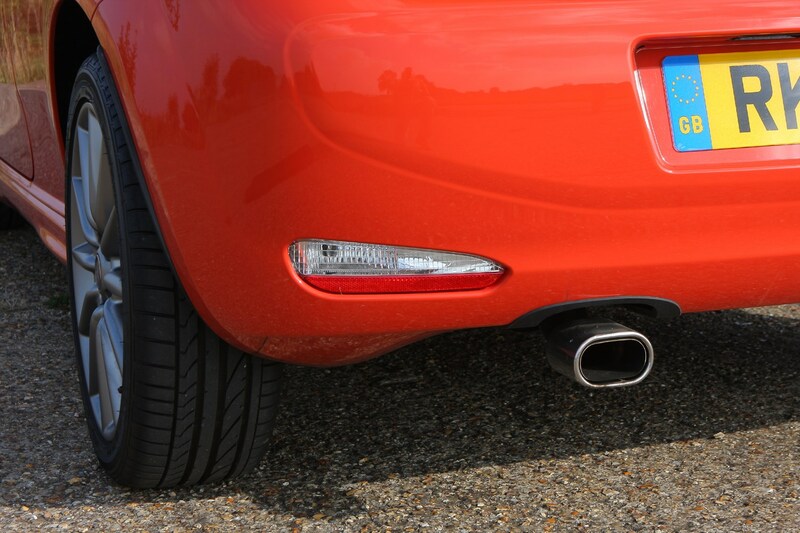 Standard kit included sports suspension, climate control, cruise control, Fiat’s Blue&Me connectivity system and rear parking sensors. 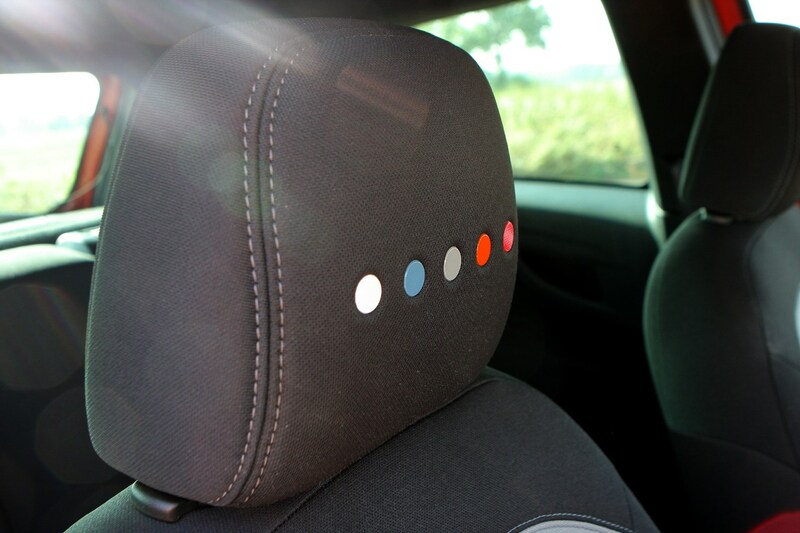 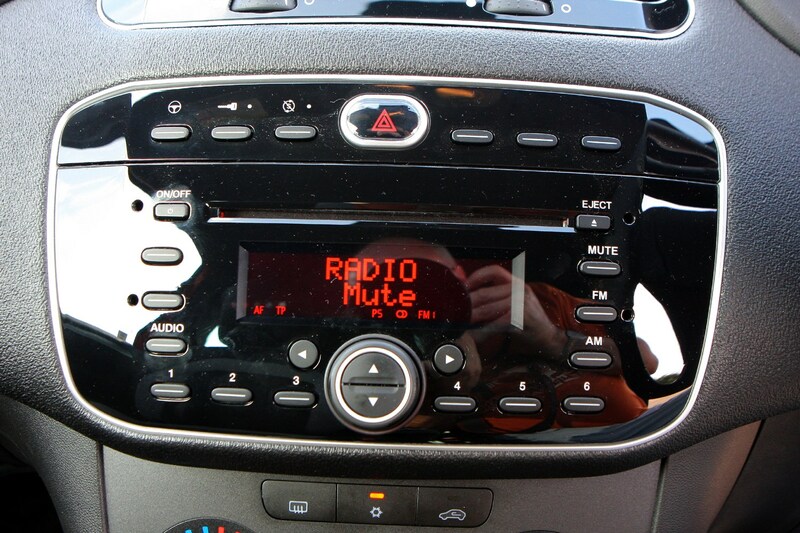 The Blue&Me TomTom Live system can be added as an optional extra. 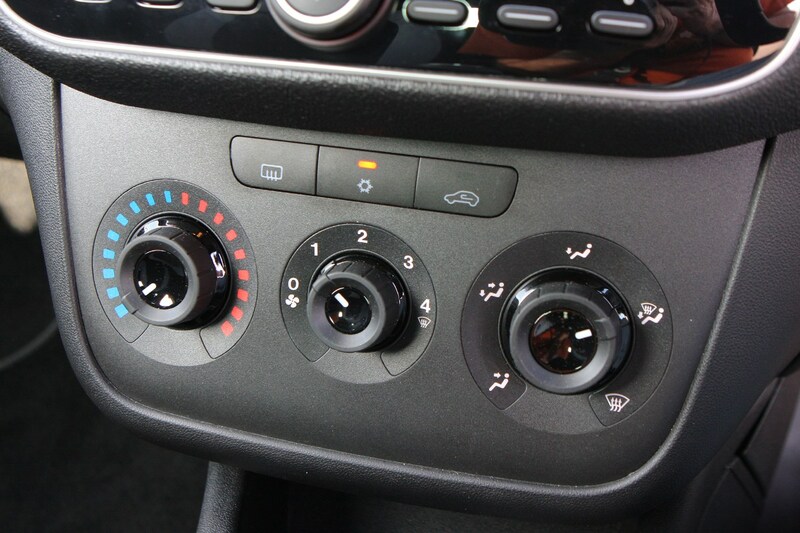 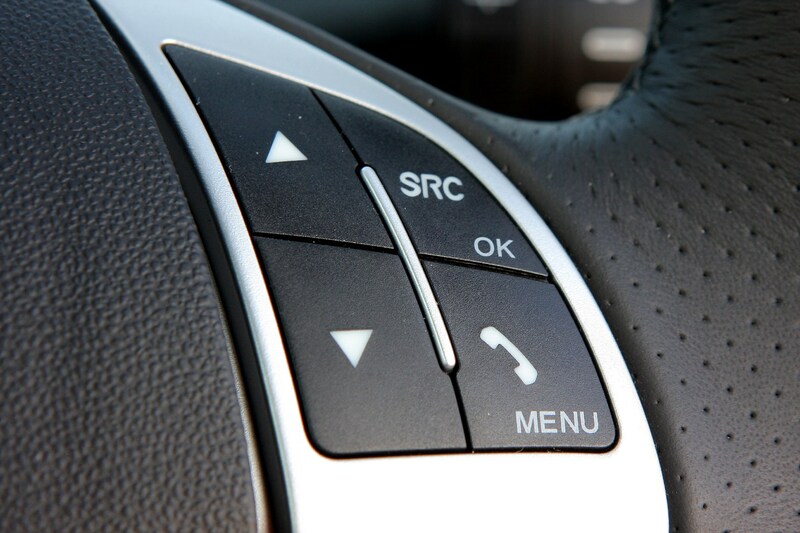 The system is mounted on the dashboard and can be controlled through a 4.3-inch high definition touchscreen or via the buttons mounted on the front of the steering wheel or you can also use voice commands allowing you to keep your hands on the steering wheel. 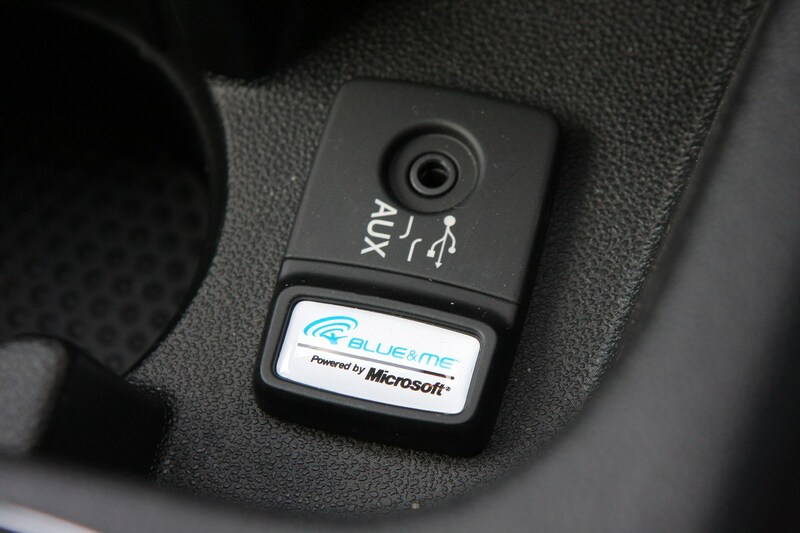 Another string to the Blue&Me’s bow is that it incorporates Fiat’s eco:Drive system that enables users to download information about their driving to a USB stick. 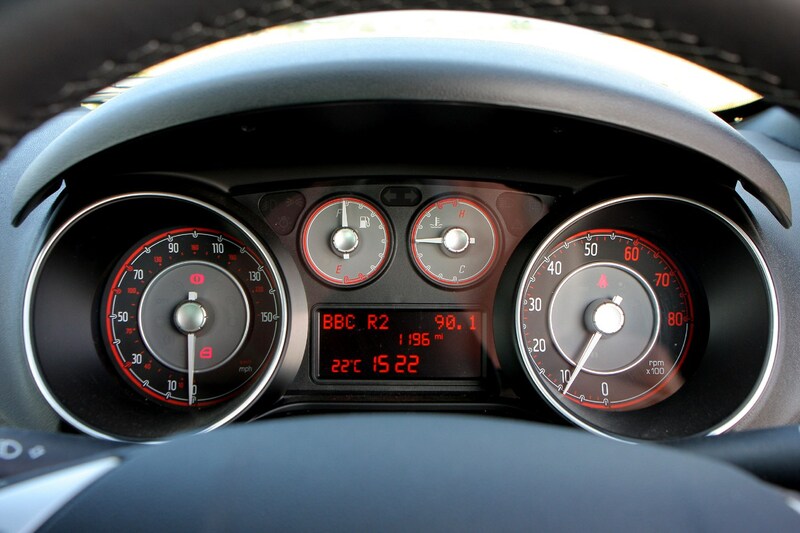 This can be uploaded to a computer and you will then be able to access Fiat’s eco-drive website where acceleration, deceleration, gear shifts and speed are analysed to give a personal eco:Index. 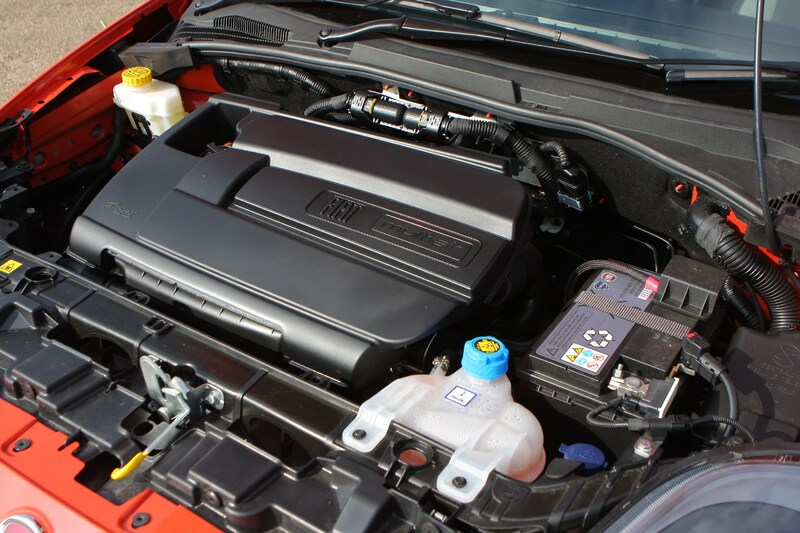 You will then receive tips on how to improve fuel economy and drive in a more eco-friendly way. 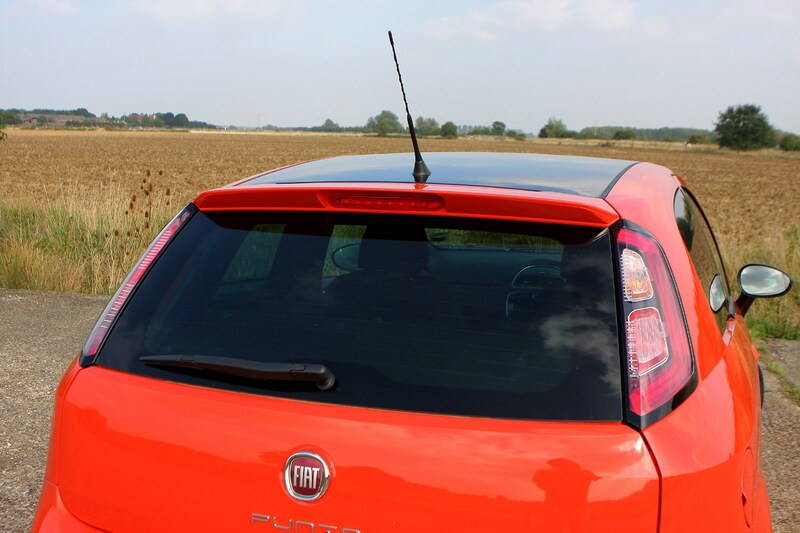 When crash-tested by Euro NCAP in 2017, the Punto was the first car to be award no stars whatsoever. 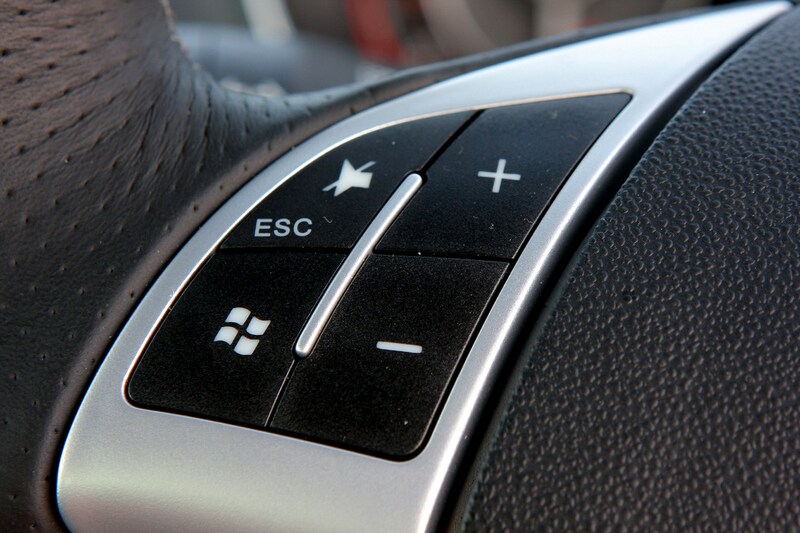 The primary reason is due to a complete lack of contemporary safety kit, such as lane-keeping assistance and autonomous emergency braking. 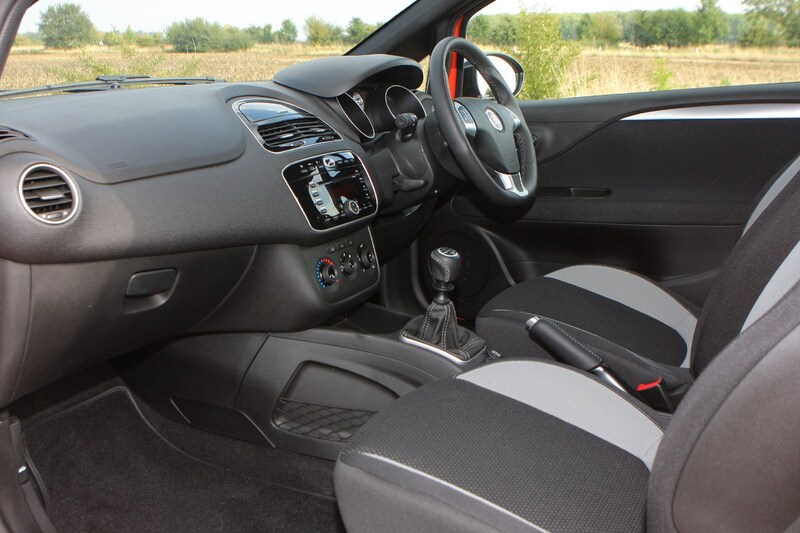 It's not completely without safety features, though: standard kit includes driver, passenger and window airbags, front and rear adjustable head restraints, adaptive cornering lights and daytime running lights. 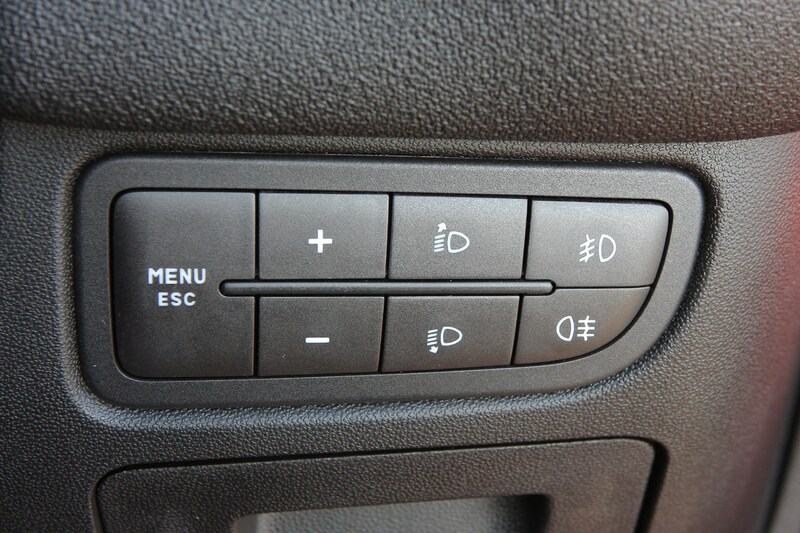 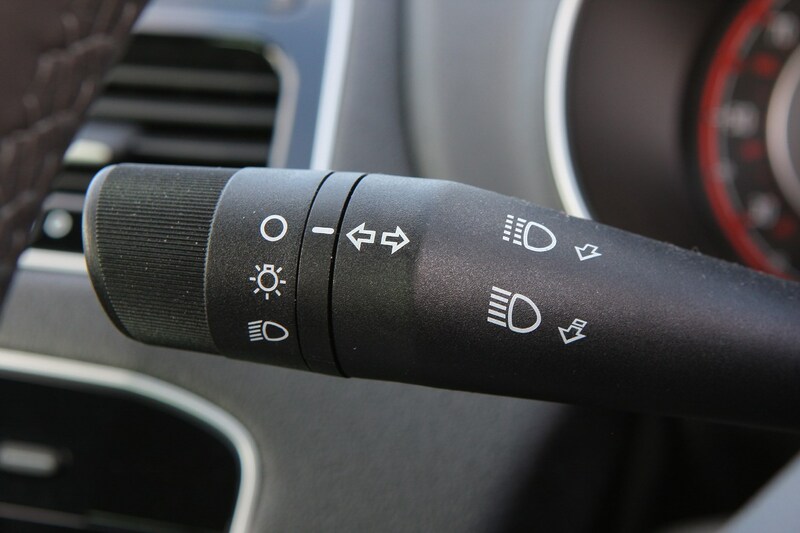 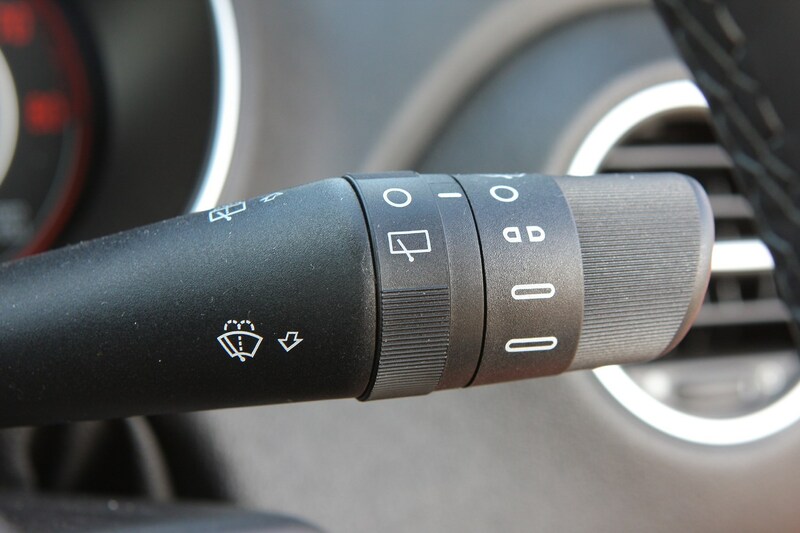 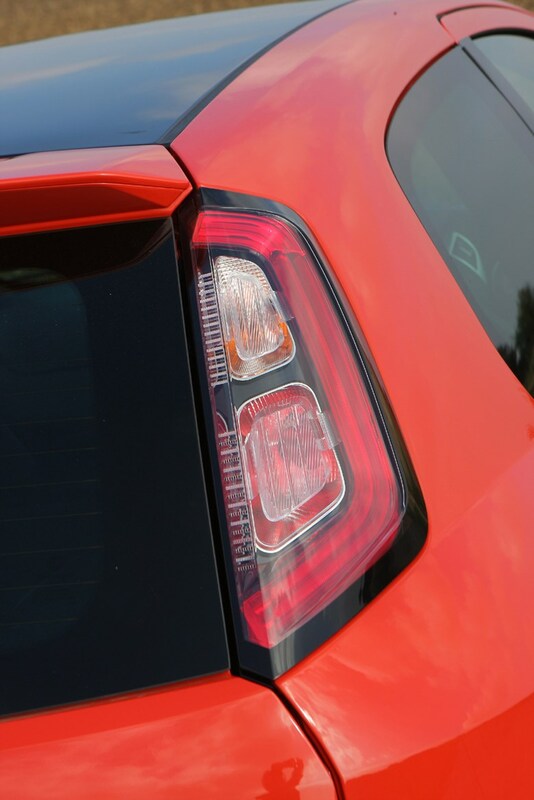 Furthermore, the front fog light flashes at the same time as the first indicator blink to signify a lane-change manoeuvre. 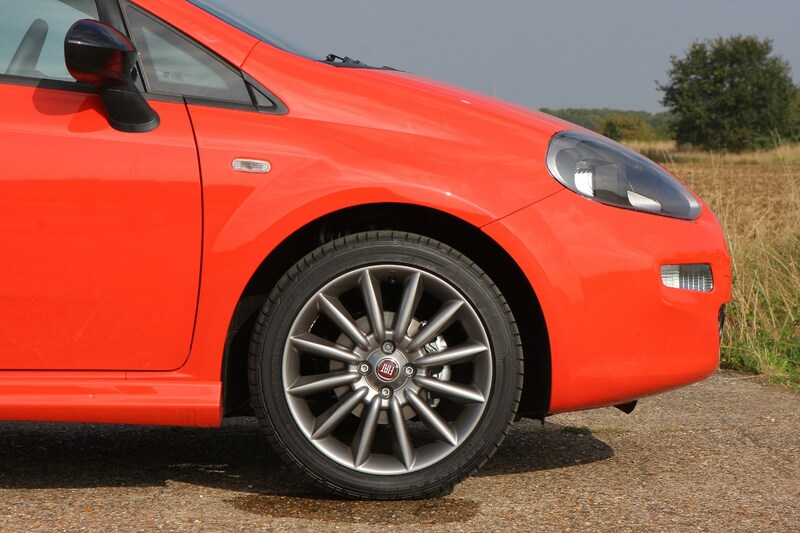 The Fiat Punto also comes with ABS, ESP and a hill holder system to aid hill starts while rain sensors can be specified as an optional extra. 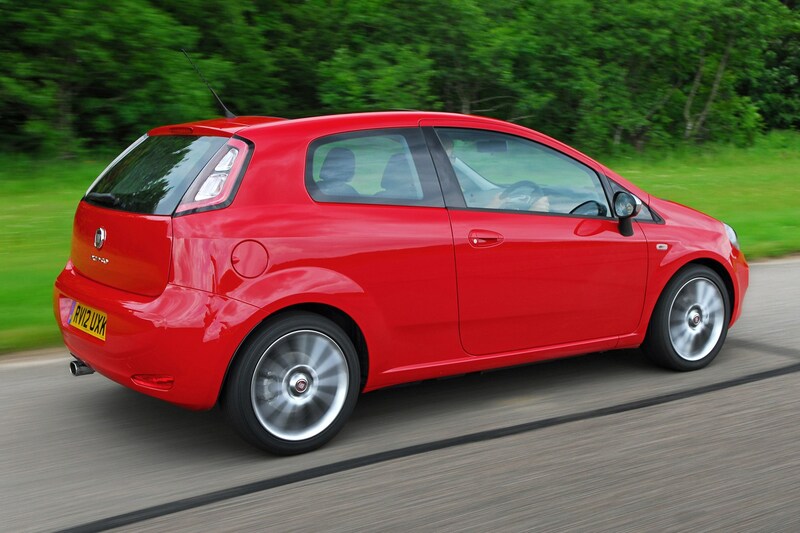 Fiat Punto practicality is very good when comparing load space to its rivals. 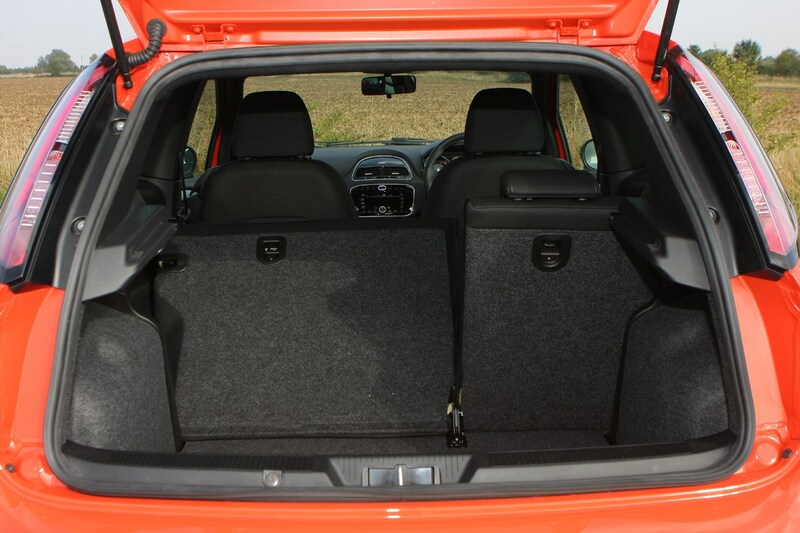 With the seats in place the load area is 275 litres and when folded this expands to 1,030 litres. 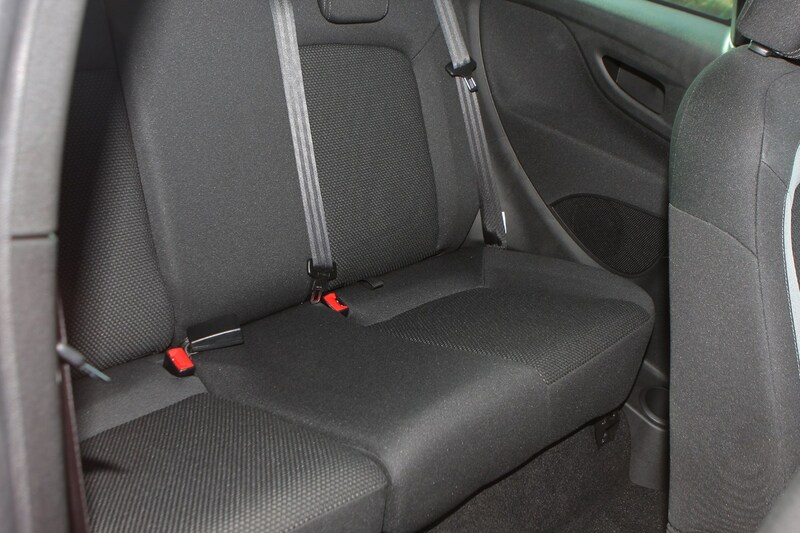 It has less space when the seats are in place when compared to rivals including the Ford Fiesta (which has a load space of 259 litres with seats in place and 979 with the rear seats folded), but it has more space when the rear bench is folded. 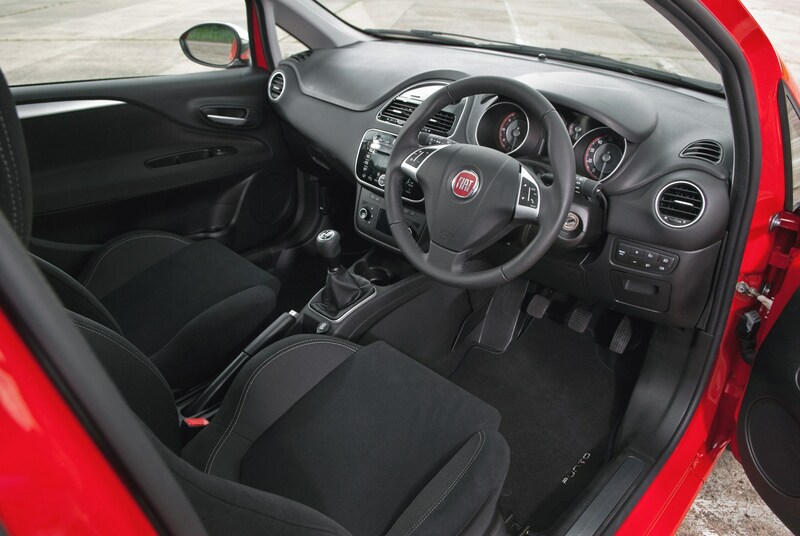 There are a good range of cubby holes inside the Fiat Punto while the glovebox and the door pockets are of a reasonable size. 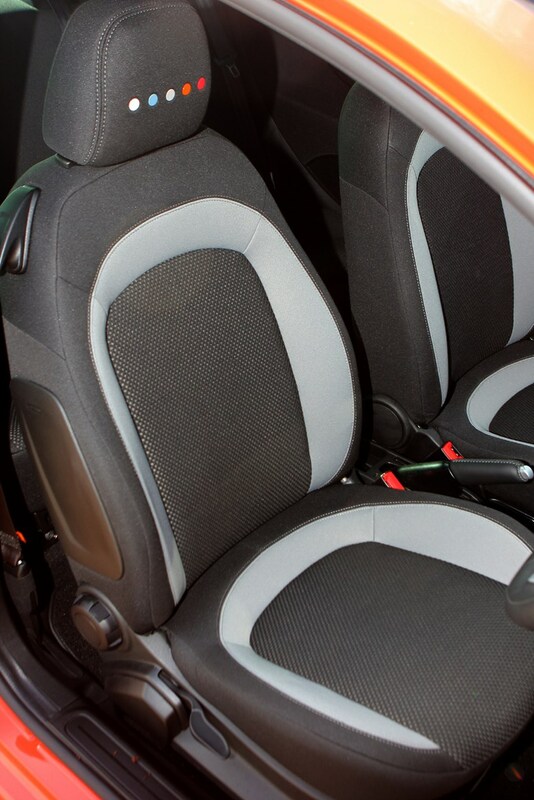 Four adults can sit in relative comfort but six-footers may feel a tad cramped if sitting in the rear of the Punto. 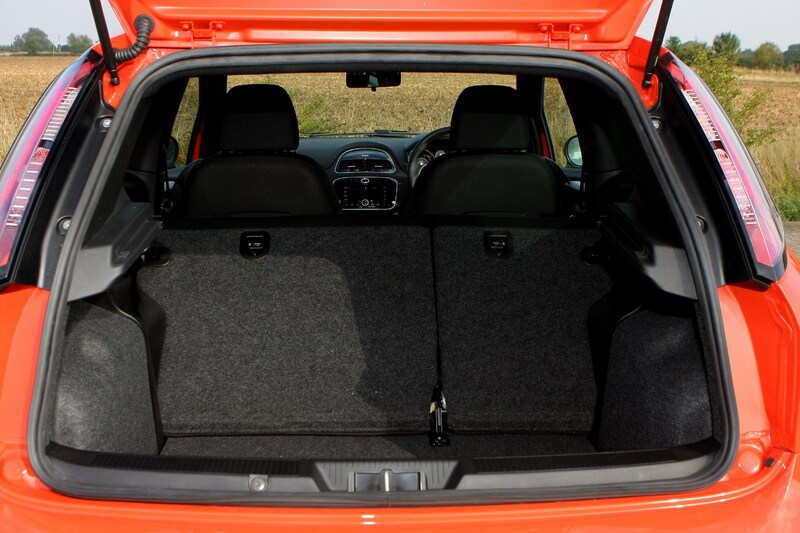 Check the table below to see how the Fiat Punto (12-18) compares to other similar cars in terms of available boot space.